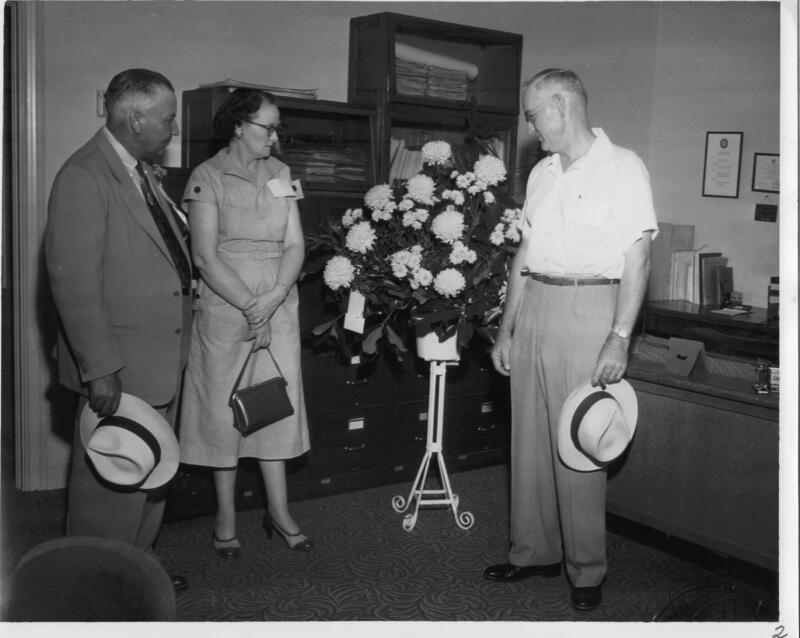 Description: Photograph of Dollinger Steel fiftieth anniversary guests with a flower arrangement. Each of the pictured has a name tag, though none can be read. Filing cabinets and a desk are in the background.